Home Blog What is Going On With App Makers and the Apple Store? Unfortunately, most app makers seem to be directly affected by this new rule. While some companies have been very straightforward about their issues, others have been less transparent and there is currently a lot of misinformation online. This is making things very hard for users, and particularly resellers, who submit high volumes of applications to the App Store. In order to help users understand what is going on, we will gather up to date information on this page. 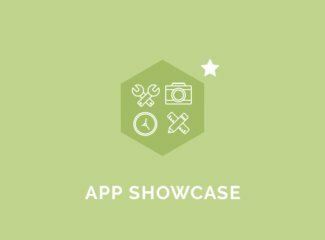 We used to have info about all app makers, but it was not helpful. So below is the news from the only App Makers who have been clear about their way of dealing with the 4.2.6 guideline. Existing GoodBarber users with iOS apps can still push updates. They have a new review process and pricing at 96$ per month for iOS. It does not guarantee iOS publication, but your fee is refunded if need be. 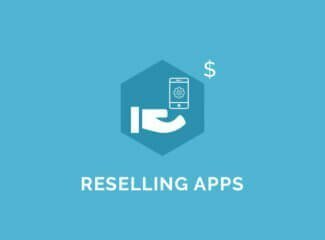 Resellers will be able to submit iOS apps with a developer enterprise account. There is also an extra review fee for the App Store. they are in direct contact with Apple. What about the other app makers? Unfortunately, we cannot comment on any other platforms at the moment. We tried to keep an updated list of unaffected solutions, but it seems to be changing daily. Besides, we cannot test every single solution ourselves. If you have any info, feel free to share it in the comments below. Is Google’s Play Store affected? Not at all. As is often the case, it would seem that Apple and Google have very different ways of doing things. The latter is equally affected by “bad apps” but they are sweeping them under the rug rather than destroying an entire side industry. 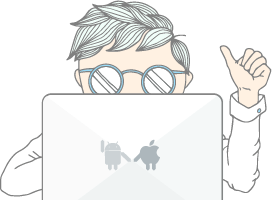 In contrast to Apple, Google is very strong on search and is able to just remove low-quality apps from their search algorithms. This seems like a much fairer approach to us, one that works quite well for the World Wide Web. Unfortunately at this stage the answer is the same for everyone: we don’t know. As you can imagine, Apple’s decision could have a disastrous effect on thousands of small businesses who use drag and drop builders for their apps. There isn’t much to do except wait and see. If you have an iOS app in your pipeline with an unaffected app maker, you should maybe think about rushing the submission. 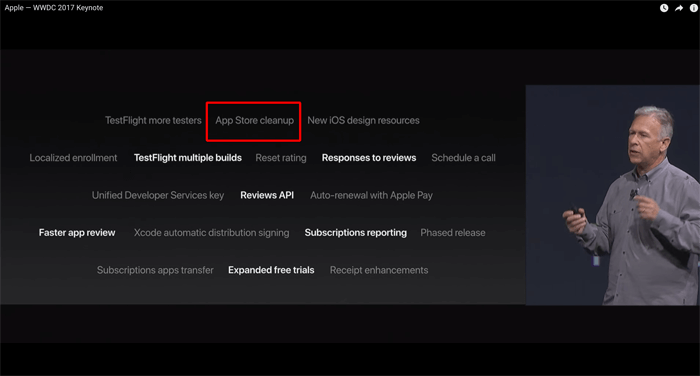 There is no guarantee that your app maker will be able to keep submitting to the App Store forever. 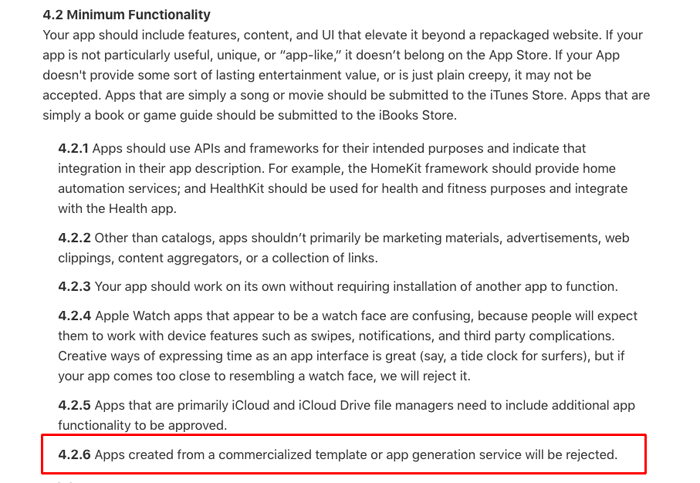 Apple has not banned “template apps” retrospectively. This means that your previous iOS apps made with app makers are ok and you should be able to update them. A lot of app makers are focusing their efforts on Progressive Web Apps. This is a way of avoiding these kinds of problems in the future. TechCrunch published an article that describes the situation and links to a petition started by BiznessApps. Once again, do let us know about information you have regarding this situation as many users are waiting to know what to do next.